What do your customers hear when they patronize your business? Of course, something is better than nothing, but the right music sets the tone for any business. Walk into any Starbucks and you understand why they spend so much time researching and selecting the right music for their locations. Decisions to buy are emotional and the right music is very powerful. Cloudstream offers a wide variety of music formats to meet the demands of nearly any business. The streaming music service includes all ASCAP, BMI, SESAC and other music licensing fees and prices as low as $29.95 per month (when billed annually). 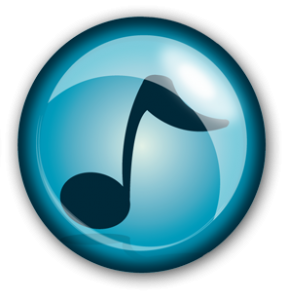 The Cloudstream Business Music Service features over 50 different commercial-free music styles to match any business environment… from spas to professional offices to trendy restaurants and bars. 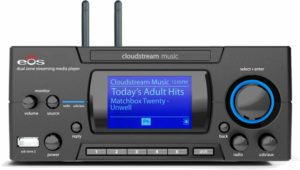 Cloudstream music service is available over the internet from the preconfigured steaming music player from Eos Wireless. Stream into an existing overhead music system or use the new Eos Wireless Audio System for Business, for complete plug-and-play ease. All streams are broadcast at a full 128kbps stereo. With GO Radio Business Music Service, you never have to worry again about what your customers hear in your place of business because you now have control. Copyright © 2019 GO Communications, Inc. All Rights Reserved.